Statesman -- Extensive investigations in the Tamale Municipality and in other parts of Ghana have confirmed that the radicals and outright anarchists re-incorporated into the NDC, as confirmed by The Statesman in various reports throughout the year, have planned to cause trouble and terror before, during and after the December 2004 elections. The radicals firmly believe that this is the only way they can defeat the NPP in the elections. 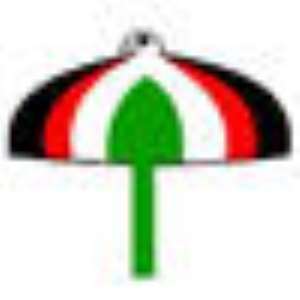 But the NDC party is also rolling out a plan to use “tribalism” as a legitimate campaign weapon, by distributing literature portraying the ruling as “tribalistic,” despite ethnic tensions being an escalating cause of many conflicts on the continent. The decision of NDC Presidential candidate, John Evans Atta Mills, to strategically skip the Dagbon constituencies in his recent tour of the Northern Region, in order to enable the NDC founder JJ Rawlings to tackle the volatile sector, may be seen as giving credence to the game plan of the NDC. Radical groups like the Aluta Boys, Zaachis, the 64 Bench, Azoka Group, Butchers Youth Association etc. in Tamale and other parts of the Northern Region have already embarked on the agenda of declaring some areas No Go Zones for the NPP. After a series of meetings towards the impending visit of Founder Rawlings to the Dagbon Constituencies, the NDC radicals have allegedly adopted various strategies which include organized and coordinated attacks on NPP supporters after rallies, creating 'No Go' zones for NPP, inciting voters during phone-in programmes, circulating libellous leaflets against the NPP, especially the Vice President, and making Tamale and Dagbon constituencies ungovernable. According to Kwabena Agyapong, President's Press Secretary, there is in the public domain a protocol for tension-sustaining codes of conduct now in circulation among NDC polling agents, including instructions not to shake hands with the main opposition party members (Newsfile, Joy FM November 13). The NPP candidate for Tamale North, Haroon Majeed and his party agents have been prevented by the NDC from entering Salegu to campaign. Mustapha Iddris' agents were also attacked and driven away at Dungu located in the Tamale South Constituency.